Hi, Today I am going to guide you to use GOOGLE TRANSLATOR. Why we need it? If you want to chat in international languages even if you don’t know. I hope this would be nice flash while you flirt. All you need to know is to copy paste the content. Pretty easy right. Here we go for the tip. A gorgeous girl saying hi and asking you for a chat. But unfortunately she is talking in an outlandish language. Be cool then guys and think smart. 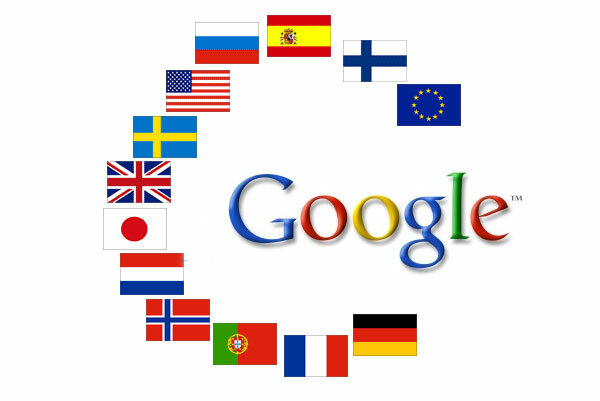 If your friend is chatting with you in Chinese or French or even in Hebrew language either you can make an attractive speech towards them by using Google Translator. Yes and now see what you friend telling you. Yes, that outlander. Simply copy that content and paste it in the Google translator. It will automatically detect the language what your friend says. Click ‘TRANSLATE‘ option you will have the English meaning at your right. And you can also select the desired language on which language that you wanna know the meaning for it. But you got to give reply to your friend. Ain’t you? 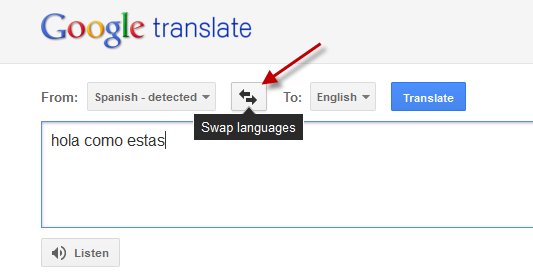 And now click the DOUBLE SIDED ARROW icon button to swap the languages. It will change their places on either sides. And now you can type in your own language over there and get the meaning at your right side. And copy it and paste it and give her a smart reply.You should not type there in your style like typing in your own way that you personally understand. You should type there in full version. However it will generate even for that too. But who knows, was that right? So don’t take risks. Be smart think smart. You know what? You can even listen to it on their own slang. Click on to ‘listen’ option on the either sides. You can hear both! Sounds cool? And you can rate the translation by clicking ‘RATE TRANSLATION’. So that you can give feedback about the translation. However Google chrome having the pluggins to translate. But things were not succeeded sometimes. And we couldn’t assure that everything and each and every words are getting translated right. So this is your own way. I might just give this a try one day. I always use Yahoo Babel Fish to do my translation from Chinese characters. Maybe it is time to convert all the stuff to Google ~ ! Somebody has tested clicktoapp.com with google translate?? Google translate now day is getting smarter,..